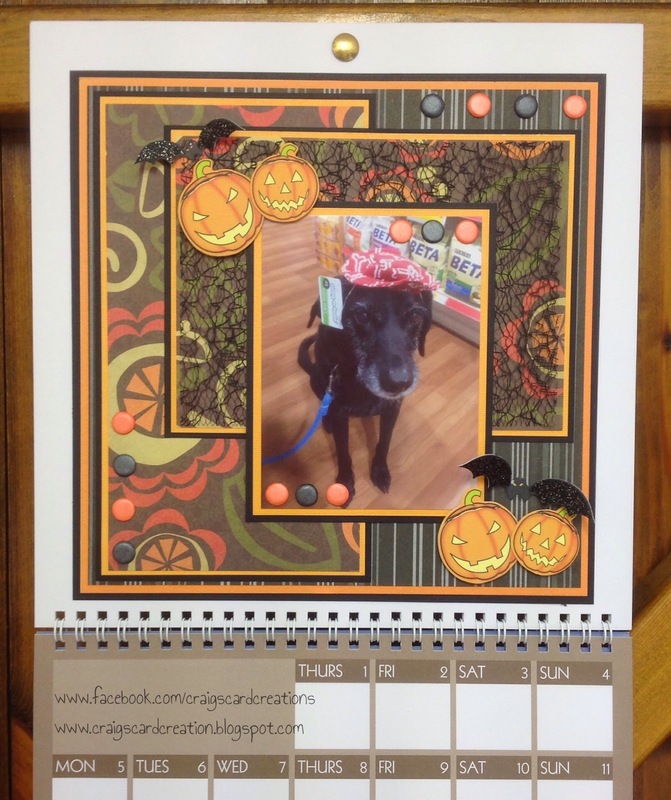 Crafting With Craig: Create your Own Calendar - Oct 2015. Good morning. hope your all well. Well that's us about half way through October already, where has the month gone, i cant believe we will soon be into November and bonfire night. I get excited for Christmas quite early on but i gauge it buy once Halloween is over and the Guy faux night is over then that when the Christmas count down really does start. it full force Christmas madness for sure. im always one who buys Christmas presents as i see them throughout the year. May aswell buy the things someone will like as and when you see them, plus it makes it a lot easier on the bank card. Ever year i put my tree up at the end of November so i have all of December with my tree and decorations up and then once i have all my presents bought or most of them, i spend the day wrapping them with the Christmas music on as well as some film. i do get fed up after a couple of hours. More excited this year as last year in the sales i bought brand new tree and decorations so my flat will be alot more elegant. more so cause i redone my living room. only problem is that its a 7 foot tree in a small living room. oh well, if anyone can make it fit and work, i can haha. Blue double sided tape runner - S56986. 6mm red liner tape - S57090. A4 die cut release sheet - S57316. Orange textured card - Bazzill Basics. "Stack 8" 12x12 paper pad - DCWV - die cut with a view. Card candi - Craftwork Cards. True black Spectrum Noir pen - Crafters Companion. Orange (OR2) Spectrum Noir pen - Crafters Companion. Pumpkin & bat die cut elements - Kanban crafts.